Time of use energy tariffs: Do they really stack up? 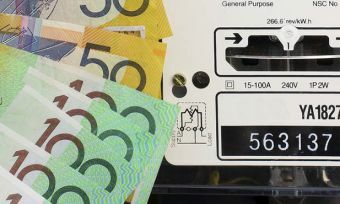 New South Wales households looking to reduce their energy bills by using power at off-peak times may want to think again, as research from Canstar Blue suggests that time of use electricity tariffs could prove a costly mistake. With more and more households across the state able to access time of use pricing tariffs amid the continued rollout of smart meters, Canstar Blue decided to crunch the numbers to find out whether or not a move away from single rate tariffs could help consumes save. With a single rate tariff, households are charged the same rates for power regardless of the time of day they use it. However, time of use tariffs see customers charged different rates depending on the time of day they consume energy. In NSW, lower prices are charged at off-peak times (i.e. from 10pm to 7am weekdays and at weekends), while higher prices are charged during peak times (i.e. from 2pm to 8pm weekdays). Households are also charged ‘shoulder’ rates for times in between peak and off-peak. The idea is that, if consumers switch their energy usage habits to off-peak times, they stand to reduce their overall energy costs. However, with peak time prices up to four times more expensive than off-peak rates, even consumers who manage to significantly change their usage habits may still be worse off, Canstar Blue has found. Calculating average single rate and time of use tariff costs on the Ausgrid network in NSW, the research found that households could be left paying close to $400 a year more with the flexible pricing option. This would come as a huge shock to customers if they switched to a time of use tariff with the aim of lowering energy costs. In order to calculate time of use tariff costs, Canstar Blue has made assumptions based on average families who manage to use 30% of their energy during off-peak times. The remaining usage is split between shoulder periods (30%) and peak periods (40%). These are average single rate and time of use plan costs based on five of the most prominent energy retailers in NSW – AGL, Origin Energy, EnergyAustralia, Dodo Power & Gas and Simply Energy. Quarterly bill for average five person households on the Ausgrid network in NSW before any conditional discounts are applied. Calculations based on 18.8 kWh daily usage. Our calculations suggest that an average NSW household consuming 30% of its total electricity usage during off-peak times will be $92 worse off per quarter than if they were on a single rate tariff. This is largely due to the fact that retailers charge around 50c to 55c per kWh at peak demand periods. But what if customers made an effort to shift even more of their usage to off-peak times? If a household managed to increase its off-peak usage to 40%, while decreasing its peak (35%) and shoulder usage (25%) accordingly, it would still be worse off with a time of use tariff. Even if households could considerably adjust their energy usage habits in favour of off-peak prices, time of use tariffs still work out to be more expensive, this time by around $50 per quarterly bill, or $200 per year. When would time of use pay off? A time of use tariff will only be viable in NSW if you can minimise peak time electricity usage between 2pm and 8pm weekdays. If customers can reduce their peak time energy usage to around 25% of their total electricity usage, then a time of use tariff could be cheaper than a single rate tariff. For most NSW families, however, this seems extremely unlikely, and would only result in modest savings of less than $15 a quarter. The issue is also not helped by the fact that many NSW households seem confused about their existing tariff structure. A Canstar Blue survey of almost 900 households across the state found that 28% have (or believe they have) a smart meter installed. Of those, only about two-thirds (68%) know what type of tariff they are on. How does NSW compare to other states? The situation in Victoria is a little different to NSW. Smart meters can be found in the majority of homes across Victoria, so energy retailers have had time to refine their time of use tariff structures and prices. Time of use tariffs in Victoria do not have a shoulder period (unlike flexible pricing tariffs), only peak and off-peak, with peak times running from 7am to 11pm weekdays, and off-peak rates applying at all other times. Assuming a Victorian household with a time of use tariff splits its total electricity usage 65%/35% across peak and off-peak times, we’ve calculated that the average time of use tariff will still be marginally more expensive than a single rate tariff – about $30 per quarter, or $120 each year. To achieve any savings with a time of use tariff, households would need to reduce their peak time usage to around 50%. Quarterly bill for average five person households on the Citipower network in VIC before any conditional discounts are applied. Calculations based on 18.8 kWh daily usage. As for SE Queensland, while very few homes have the smart meters required to access a time of use tariff, our calculations suggest it wouldn’t help Queenslanders save on electricity regardless. Again assuming 40% peak usage, with the remaining usage split evenly between off-peak and shoulder periods, the average time of use tariff works out to be about $19 per quarter more expensive than the average single rate tariff. That said, the peak time period in Queensland is two hours shorter than in NSW, making it easier for Queenslanders to minimise their peak time usage. However, they would still need to reduce their peak time usage to around 30% to make any savings with a time of use tariff. Quarterly bill for average five person households on the Energex network in QLD before any conditional discounts are applied. Calculations based on 18.8 kWh daily usage. Will time of use prices improve? The energy industry seems determined to push more consumers towards flexible pricing tariff options. The most obvious reason for this is that time of use tariffs incentivise customers to spread out their electricity usage, reducing the pressure on the electricity network during peak hours. After the load-shedding events of early 2017, there is an even greater call for customers to consider time of use tariffs. But in NSW in particular, time of use tariffs do not seem to stack up as intended. It seems reasonable to speculate that time of use tariffs will be tweaked to make them a more appealing alternative for customers in future. This could be through an adjustment to the allotted time windows for each period, or a reduction in peak time prices proportionate to single rate tariffs. For now at least, time of use tariffs should be considered with extreme caution.